Society for the Appreciation of the Lowly Tinned Sardine: The Sandwich. Part Le Deux. The Sandwich. Part Le Deux. The Man was running off to Thailand again last week. We caught up on the phone right before he split to talk a little business, and he hipped me to a place out on Powell. The dirty part. I have kind of a thing for sandwiches. Especially the Indochine style. I have eaten hundreds of them. SF/Oakland/NYC/PDX. 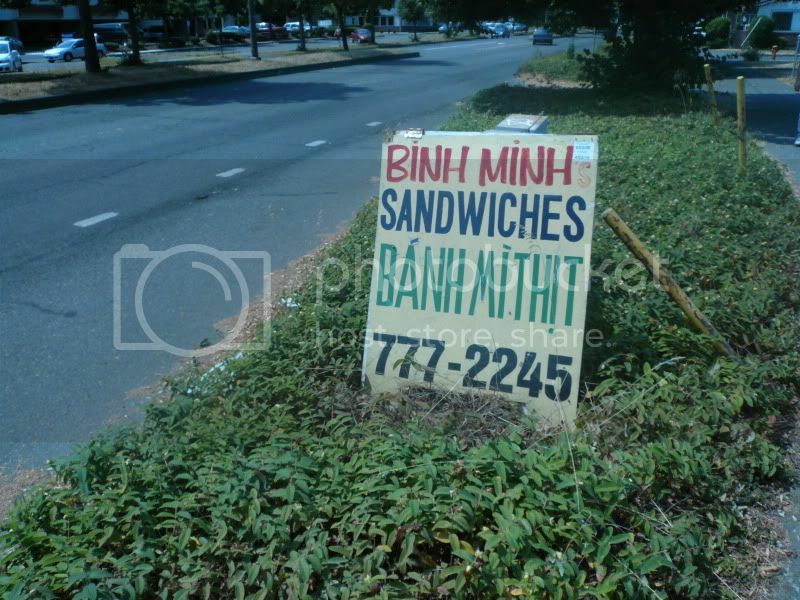 Pretty much any town, with any kind of Viet immigrant population will have a small counter, in a rough neighborhood, slinging $2 sammys and potent coffee. Get your nails done, eat a couple, chug a Heineken, all's right in the ghetto. This lady here, she's putting the tinned sardine to good use. Making a kind of doped-up salad out of them and putting them in the bun. All the other typical ingredients-- Daikon, carrot, cilantro, peppers, and mayo. This has been added to my 7-days-a-week of sandwiches. Screw bike racing. I want to eat. 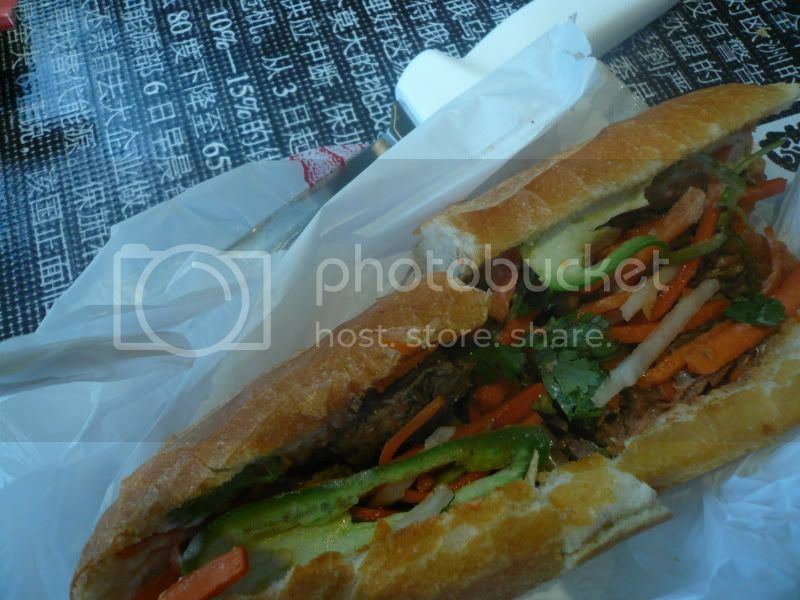 I used to get such sammy's from a hole in the wall near the US District Court in SF. It was on Larkin and Golden Gate. Great, cheap messenger fuel. The bread looks real good. Good bread is key. I agree, It's key to the whole experience.